The polls have closed and the results are in. For the 12th consecutive year, Nagios has been voted as the Network Monitoring Application of the Year. 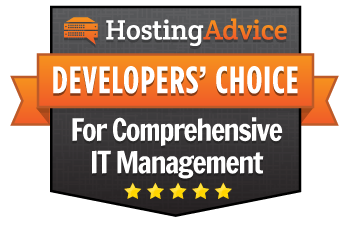 HostingAdvice.com has awarded Nagios XI with their Developers’ Choice Award for Comprehensive IT Management. HostingAdvice is a leader in web hosting advice, how-to guides, and reviews. The polls have closed and the results are in. For the 12th consecutive year, Nagios has been voted as the Network Monitoring Application of the Year. 52.54% of the total votes for Network Monitoring Application of the Year went to Nagios products. Nagios proudly acknowledges the SourceForge Community Team for naming Nagios Core as a featured “Project of the Week” for December 19, 2016. The Nagios development team shares credit with community members who have stepped up and offered endless contributions; together making Nagios Core the most widely used monitoring solution out there. Nagios voted SourceForge Community Choice "Project of the Month"
For the SourgeForge October 2016 Community Choice “Project of the Month”, the community elected Nagios Core, powerful network monitoring software, enterprise-class host, server, application, and network monitoring tools. Designed to be fast, flexible, and rock-solid stable. Nagios runs on *NIX hosts and can monitor Windows, Linux/Unix/BSD, Netware, and network devices. Nagios Log Server has been selected first runner-up in ShowNet’s product section of Best of Show Award of Interop Tokyo 2015! ShowNet is a comprehensive internet technology demonstration of Interop Tokyo and Nagios Log Server has received its award due to its great contribution to ShowNet. 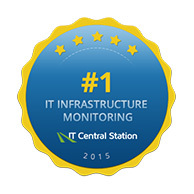 Nagios ranked #1 in IT Central Station’s “Top IT Infrastructure Monitoring Tools – 2015 Edition.” IT Central Station compiled over 60,000 views of the top IT Infrastructure Monitoring Tools by real users in 2014 and Q1 2015 and analyzed their trends. All of our data is based on actual behavior of real users researching and comparing vendors on IT Central Station. 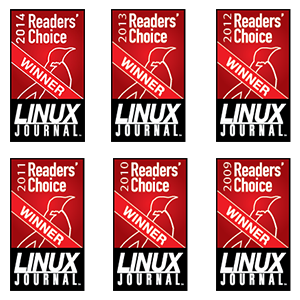 For the sixth consecutive year, Nagios was voted “Best Monitoring Application” at the Linux Journal Readers’ Choice Awards honoring the best in IT marketplace. 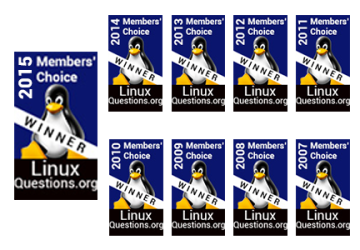 Linux Journal is the leading media brand of the Linux and open-source markets. 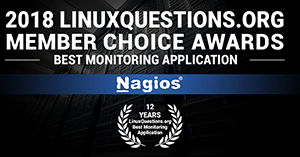 For the ninth consecutive year, Nagios was named the Network Monitoring Application of the Year at the LinuxQuestions.org Members Choice Awards. 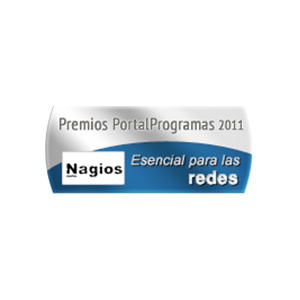 Nagios won the Portal Programas 2011 Open Source Awards in the “Essential For Communications Networks” category. 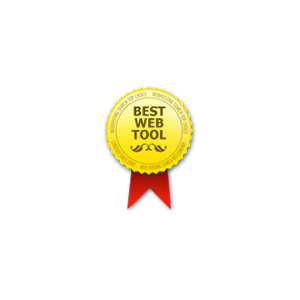 Nagios was awarded “Best Web Tool” by the knowledgeable team at WebHostingSearch.com. Awards are based on everything from user experience and reviews to more technical aspects such as server up time and various other benchmarks, which often depend on hosting type. 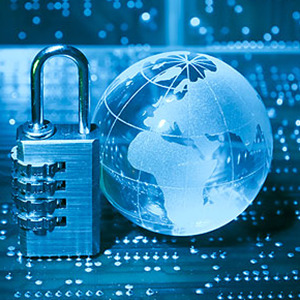 Nagios is listed in the SecTools.org list of “Top 125 Security Tools.” For more than a decade, they have been running regular surveys to determine the community’s favorite software, including web scanners, password crackers, network sniffers, and exploitation tools. 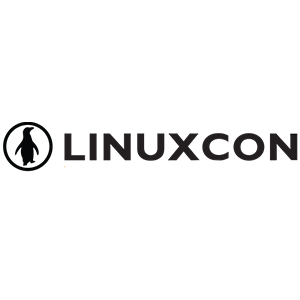 Nagios was the overwhelming winner in the “Favorite IT Operations Tools” category of a LinuxCon 2010 poll, taking more than 50% of the votes. See the announcement and the poll results. 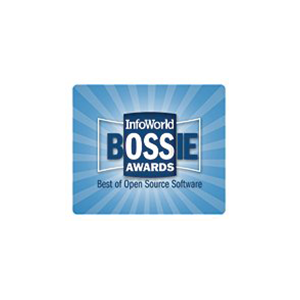 Infoworld named Nagios as one of the Best of Open Source Software (“BOSSIE”) 2009 Award winners. This is the second year in a row that Nagios has achieved such an honor. 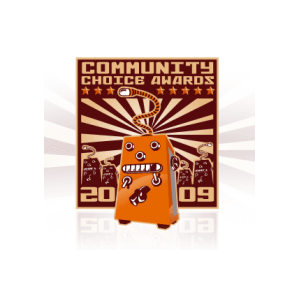 Nagios was a finalist in the SourceForge.net Community Choice Awards 2009 for “Best Tool or Utility for SysAdmins“.